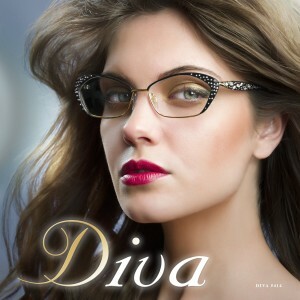 With five new optical styles, Diva’s fall release shows off its beauty and diversity with a variety of shapes and elegant metal treatments. Twisted, pressed metal and plastic work is the latest theme to make an appearance in this dynamic jewelry collection. This clever point of design is often utilized on the front of a model and is perfectly balanced by the Austrian Swarovski Crystals that coat their designs. This combination adds richness while not overwhelming. Additionally, the collection diversifies with several new, geometric shapes. An array of new acetate colors and finishes compliment these new features. Multi-toned colors with striated and marble finishes ensure that each frame has an exciting, feminine look. Tones such as violet, aqua, coral, silver, blue, and forest green in addition to browns and black are just some of the color shades that are prevalent. ESE’s association with Cazal Eyewear first catapulted the company into prominence in the early 1980’s through the phenomenon known as “CAZZIE FEVER”, named for the craze of this uniquely groundbreaking brand. The collection’s legend has only grown and today is a favorite amongst hip hop musicians and many Hollywood celebrities.